Gone! 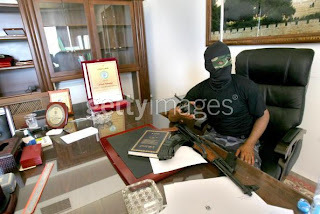 Hamas Looters Steal Arafat's Nobel Peace Prize! 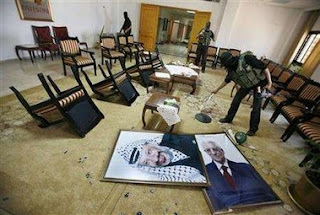 Hamas looters ransacked the home of former Palestinian Authority chairman Yasser Arafat in Gaza City. They even stole Arafat’s Nobel Peace Prize medal! Eyewitnesses told The Jerusalem Post that dozens of Palestinians participated in the raid, which took place late Friday. To the winners- the spoils. The Wall Street Journal has more on the Arafat legacy. Scenes From Hamasistan- Abbas Surrenders Gaza!